This project is one of the major presidential pledges by President of Uzbekistan Shavkat Mirziyoyev and has attracted a great deal of attention from the local government and the public. Heerim is responsible for the design and CM (Construction Management) work by promoting a world-class competitiveness in sports facility design & CM technology that have been accumulated for decades. The design for the Tashkent Ice Rink construction will be approximately 9 months, where the construction work will be conducted in the Fast Tracked, which aims to complete the design and construction at the end of 2018. Four storeyed Humo Arena with the area of 74,000 square meters will include two complexes – training and main ice ranks with the area of 60×30 meters. Tashkent Multi functional Ice Rink Complex will consist of the main ice rink with 12,500 seats where international matches can be held, and secondary rink with a capacity of 300 seats. There are various additional facilities to be built around the rink such as parking building (2000 parking lots), restaurants, children’s theme park and others. The complex can host Ice hockey, short-track, figure skating and curling. In addition, the complex can be used to organize basketball, volleyball, handball, futsal, boxing, taekwondo and other sport tournaments. In addition, the complex will be able to hold concerts, exhibitions and forums. Russia’s participation in the Winter Olympics is still in question? 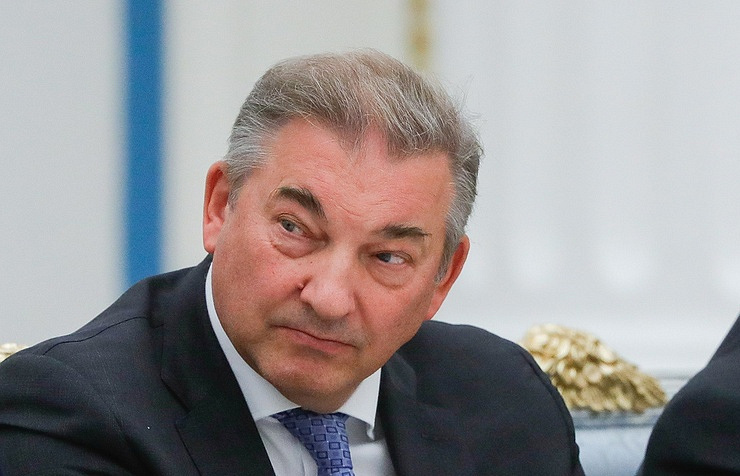 The Russian national ice hockey team is doping-clean and will have no problems whatsoever getting the permission to participate in the 2018 Winter Olympic Games in South Korea’s PyeongChang, President of the Russian Ice Hockey Federation (RHF) Vladislav Tretiak told TASS on Wednesday. “The IIHF is not playing politics and is guided by the real state of facts,” Tretiak said. The next Olympics, which are XXIII Winter Olympic Games, will take place in South Korea’s PyeongChang on February 9-25, 2018 and Russia’s participation in the event is still in question. In July 2016, the IOC set up two separate commissions to probe doping abuse allegations in Russian sports as well as alleged involvement of state officials in manipulations with performance enhancing drugs, particularly at the 2014 Winter Olympics in Russia’s Sochi. The first of the two commissions is an Inquiry Commission, chaired by the former President of Switzerland, Samuel Schmid. The commission is looking into accusations set out in the McLaren report that alleges the existence of a supposed institutional conspiracy in Russia’s summer and winter sports, in which the country’s state officials were allegedly engaged in. The second investigative body at the issue is a Disciplinary Commission, chaired by IOC Member Denis Oswald. This commission is tasked to address alleged doping uses and manipulation of samples concerning the Russian athletes, who participated in the Olympic Winter Games Sochi 2014. Starting from last year, Russian athletes were constantly under the gun due to numerous doping abuse accusations. The World Anti-Doping Agency’s (WADA) Independent Commission, chaired by Canadian sports law professor Richard McLaren, conducted an investigation into doping allegations in Russian sports and eventually came up in 2016 with two parts to the report, the first delivered in July and the second in early December.